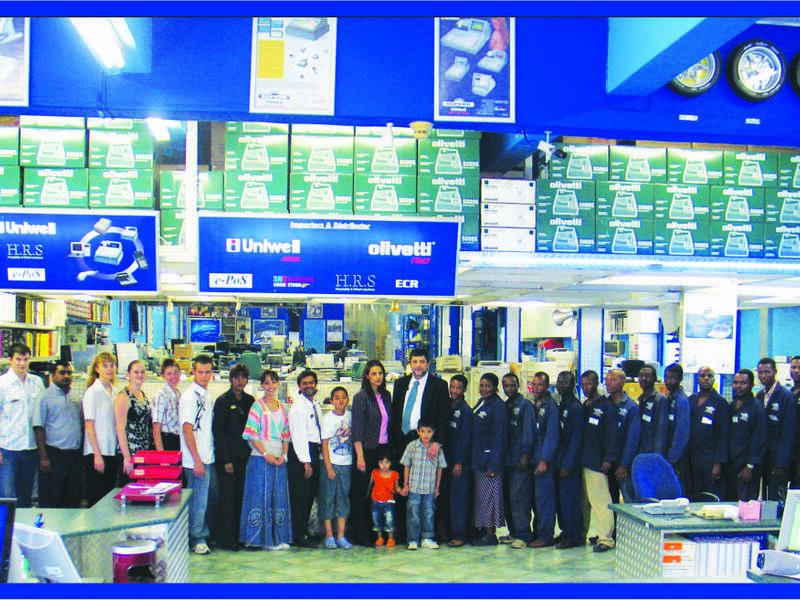 SUPERB UNIWELL SYSTEMS was established in 1984 and has been a growing company ever since it's inception. We market and distribute a large range of point of sale equipment, cash registers and related equipment across Africa. We are proud to be a distributor of UNIWELL for ECR and POS products for South Africa and the territory of Sub-Saharan Africa by UNIWELL CORPORATION JAPAN. UNIWELL SYSTEMS which is without doubt internationally known for providing leading-edge products of excellent quality and reliability. The company's objective over the complete range of SUPERB products is to keep up-to-date with the latest technology, design techniques and developments in this rapidly growing and expanding industry, coupled with SUPERB service and support. We constantly seek out the world's best practices, and apply them with an international perspective. We consistently associate with best of class partners. On our company owned premises, occupying 2400m2, a larger product range and a dedicated team of professionals, can certainly target all types of applications, including large and small retailers, wholesalers, hospitality and utility industries. Our business: ECR, POS, retail & hospitality solutions without borders. The computer division in addition distributes the following name brands: Welsh Allyn scanners, Symbol barcode equipment, Epson & Citizen receipt printers, Mecer-Posiflex, Eltron , Zebra barcode and label printers and Micro-Touch Touch-Screens. We boast to have a holding company: SUPERB tally rolls which manufactures tally rolls for wholesale and retail. The company's dedicated sales team is supported by a highly skilled team of technicians, offering excellent after sales service to the client. Our technical staff has the expertise to repair down to component level, therefore saving you money. The company is famous for it's large stock holding, ensuring minimal lead-time from order to invoice, and a top-class “while-you-wait” service. With the state-of-the-art showroom facility, SUPERB UNIWELL SYSTEMS is able to offer their clients a complete presentation of all it's products. The hallmark of “SUPERB UNIWELL SYSTEMS” continues to be unmatched and growing, re-inforcing our leadership position. Our developing technologies will continue to set the standard for innovation.